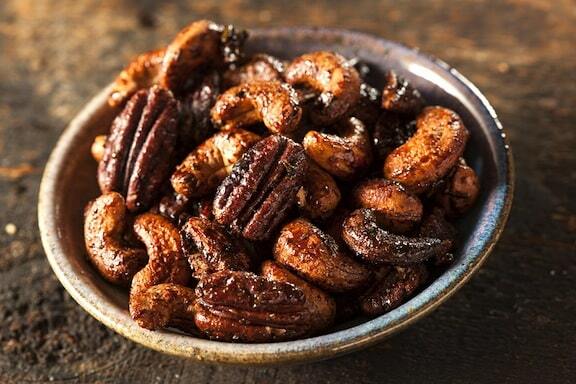 Almonds are packed with lots of nutritional benefits, and being a mild-flavored nut, they’re incredibly versatile, too. 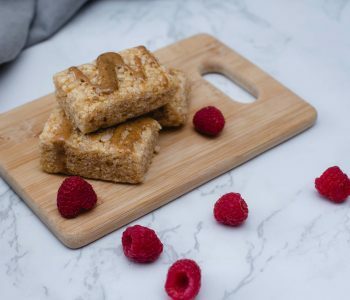 Almond butter makes a perfect soup base; they’re delicious as part of pilafs and noodle dishes, and are a great choice for healthy dessert treats. 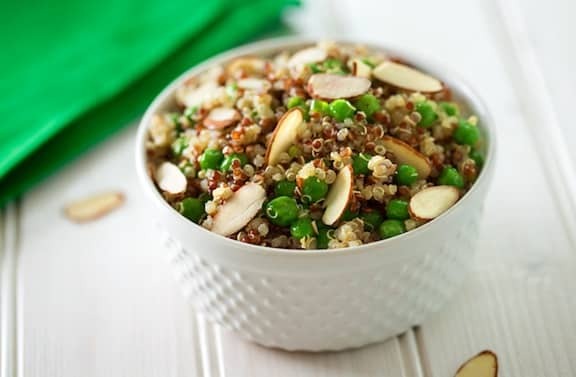 Here are some of our favorites, starting with this tasty and nourishing Simple Quinoa Pilaf with Peas and Almonds. 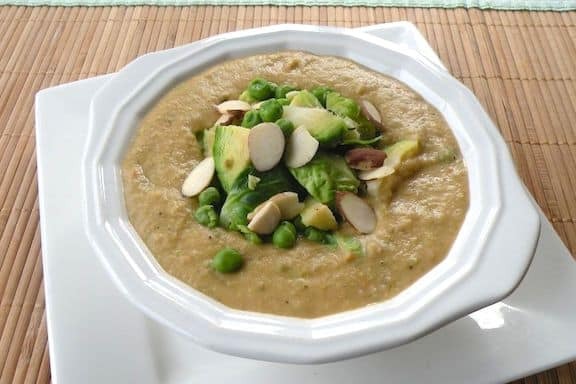 Elegant and richly flavored, Almond-Brussels Sprouts Soup features a myriad of veggies, with almond butter as its base. Perfect green beans seem to be available only for a month or two in the summer. 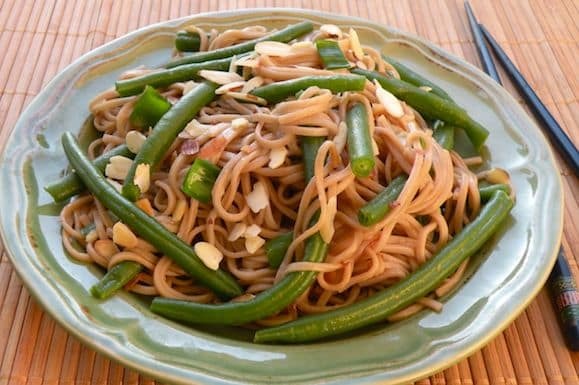 This dish is a nice way to highlight them during that brief window, but I like Soba Noodles with Green Beans and Almonds so much that I use whole organic frozen green beans to make it any time of year. 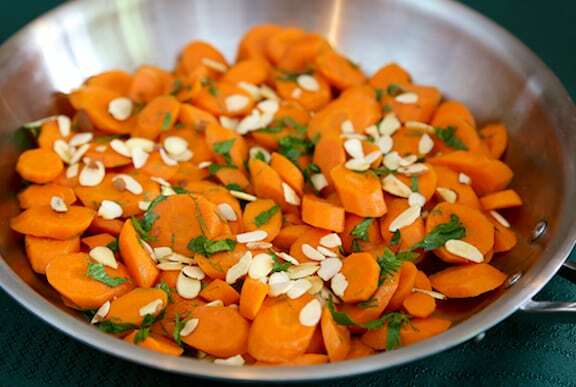 Sautéed Carrots with Almonds is simple side dish of carrots embellished with almonds and herbs; it brings color and natural sweetness to the dinner plate. Apple slices with nut butter are a great healthy snack. 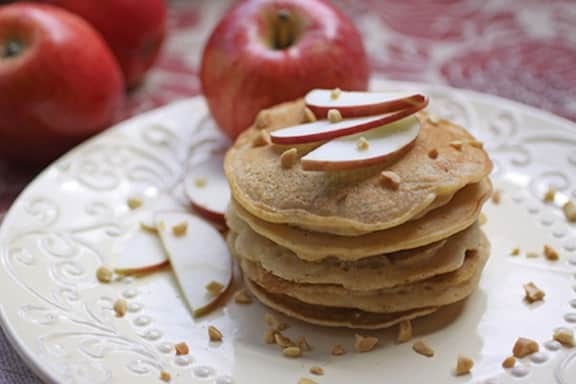 Now, this delicious flavor combo can be enjoyed in these luscious Apple-Almond Butter Pancakes by Robin Robertson. Almond butter is a good addition to smoothies. 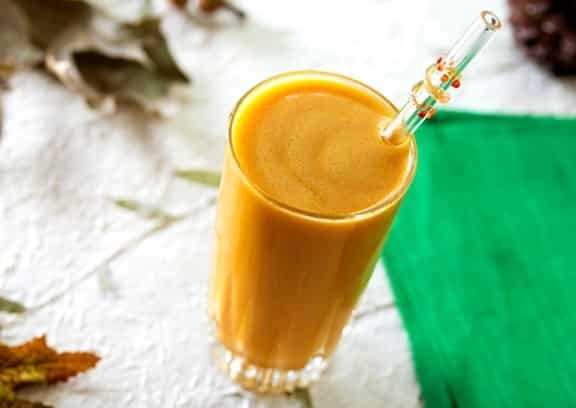 Gently spiced with cinnamon and ginger, this Butternut Squash Smoothie is packed with flavor and nutrients. 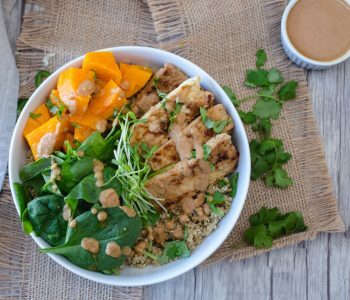 A dollop of almond butter adds to the rich, mellow flavor. 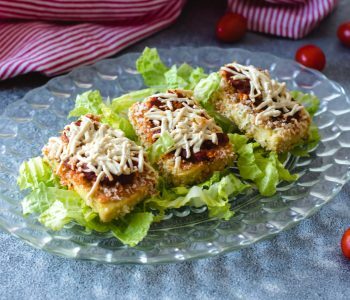 You can easily and quickly whip up Chef Beverly Lynn Bennett’s Raw Vegan Parmesan-Style “Cheese” with almonds and the help of a food processor. 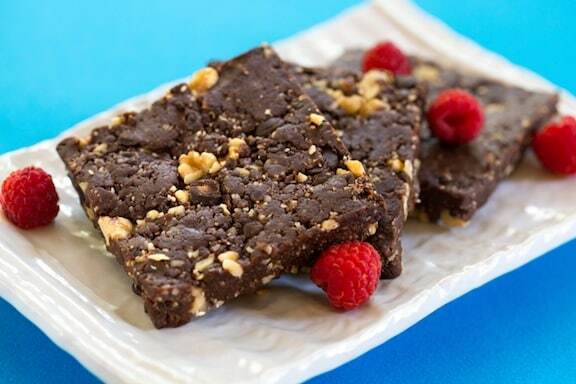 You won’t believe how easy it is to make these vegan Unbaked Fudgy Brownies, sweetened with dates and based on a “flour” made with almonds. 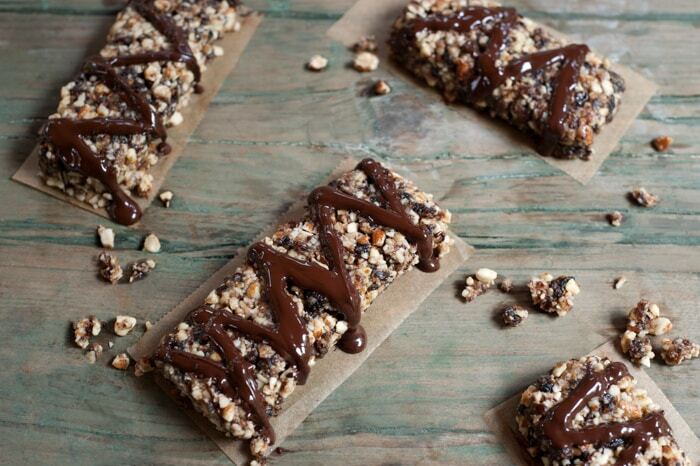 Another treat using plenty of almonds, these No-Bake Chocolate Nutty Bars by Leslie Cerier are super-easy to make, and feature almonds, raisins and dark chocolate. 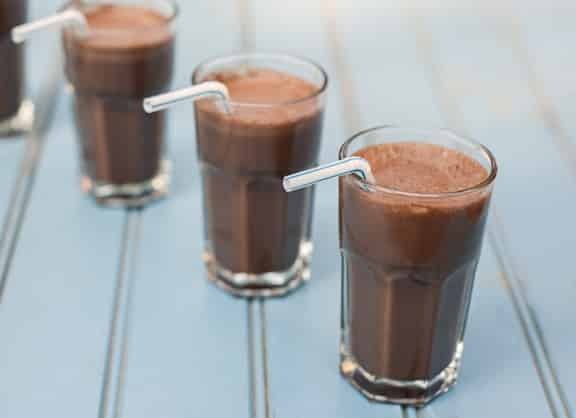 This Homemade Chocolate Almond Milk recipe, also by Leslie Cerier, is easy and delicious. 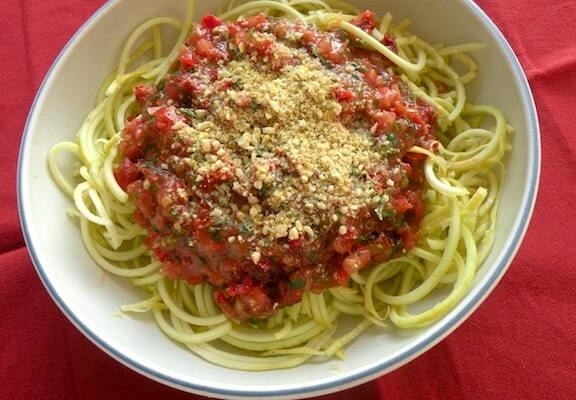 Try using all organic ingredients, if you can.